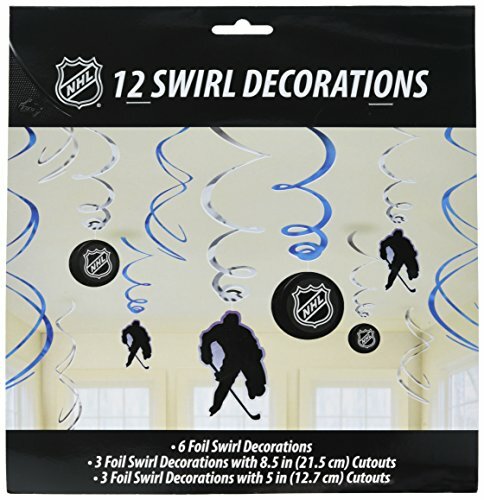 Amscan Sports & Tailgating NHL Party Ice Time Swirl Decorations (12 Pack), Silver/Blue, 10 x 9.5"
Package includes (12) pieces of swirl decorations: (6) Swirls, 18" (3) Swirls w/ Medium Paper Cutouts, 7" (3) Swirls w/ Small Paper Cutouts, 5"
Get caught up in the thrill! 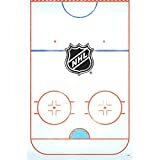 Fill your room with the excitement from these NHL Ice Time! Swirl Decors. 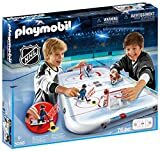 Icy level coolness unlocked!.